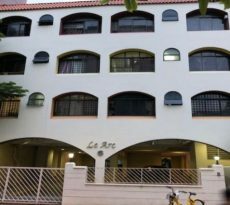 The Urban Redevelopment Authority (URA) yesterday (Nov 30) released two residential sites and two residential with commercial uses at 1st storey sites for sale today under the 2nd half 2018 GLS Programme (Government Land Sales Programme). Under the 2nd half 2018 GLS Programme, the Sims Drive and Middle Road sites are launched for sale under the Confirmed List while the Dairy Farm Walk and Tan Quee Lan Street sites are available for application under the Reserve List. Together, these four sites under the 2nd half 2018 GLS Programme can yield about 1,915 residential units. 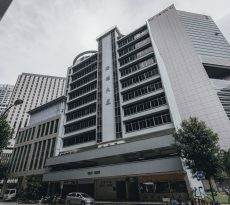 Commenting on the four sites – Sims Drive, Middle Road, Dairy Farm Walk, and Tan Quee Lan Street – that are made available under the H2 2018 Government Land Sales programme, Colliers International said that they will continue to ensure there are ample supply of development land for developers. Having a decent slate of public land on the market may also go some way to help moderate potential bids for the site tenders. Ms Tricia Song, Head of Research for Singapore, Colliers International said: “It is unsurprisingly that the URA has decided to place Sims Drive and Middle Road sites for sale under the Confirmed List, and concurrently made the Dairy Farm Walk and Tan Queen Lan Street plots available for application under the Reserve List. We believe the move aligns with the Government’s plans to transform precincts such as Kampong Glam and Paya Lebar as well as further develop the Bukit Panjang neighbourhood. 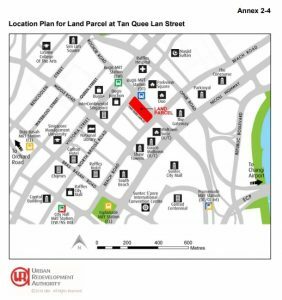 We expect positive response to the Middle Road plot on the Confirmed List as well as a potential trigger for the nearby Tan Quee Lan Street on the Reserve List. These sites fall within the Central Area, and hence will not be subject to the rule on minimum unit size. “Both sites will supplement the housing demand in the rapid transformation of the Beach Road commercial enclave. It was recently revealed that next door Guoco Midtown will comprise 770,000 sq ft of premium Grade A office space designed for new economy companies; 30,000 sq ft of retail and entertainment to draw “novel concepts”; and more than 200 residential units. Together with the existing Parkview Square, DUO and Bugis Junction integrated developments, the entire area will have over 2.5 million sq ft of prime grade office and retail space. For the Middle Road site under the 2nd half 2018 GLS Programme which can yield 375 residential units and up to 1,500 sq m of commercial space on the first floor, Colliers expects a top bid of SGD1,400 psf ppr which translates to a land bid of about SGD475 million. There are two zones: the low-rise zone which can go up to six storeys, and a high-rise zone which can go up to 20 storeys. 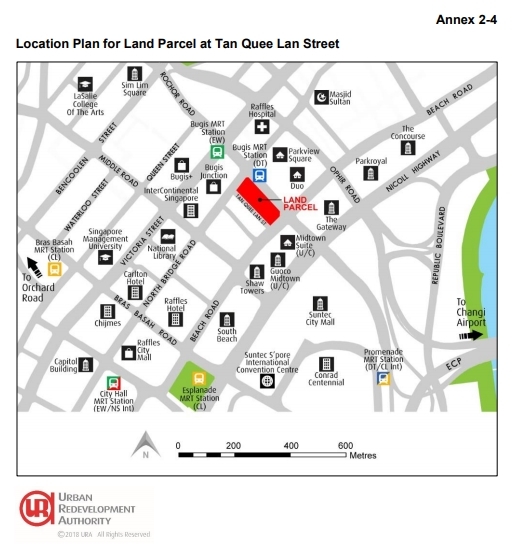 Of the two sites, Colliers feels that the one on the Reserve List — Tan Quee Lan Street site is in a more superior location, being on top of the Bugis (Downtown Line & East-West Line) MRT interchange station and between the upcoming integrated Guoco Midtown, existing Bugis Junction and the newly completed DUO development. Colliers expects a top bid of SGD1,500 psf ppr for this site under the 2nd half 2018 GLS Programme, which translates to a land bid of SGD780 million. Similar to the Middle Road site, there is a cap of 2,000 sqm for commercial uses at the first storey, and it can yield 580 residential units. While it is now subject to a larger minimum average unit size of 85 sq m than before, the Sims Drive site should still attract more bullish bids, compared to the four bids with a top bid of SGD687.90 psf ppr garnered by the adjacent site where Sims Urban Oasis currently sits. 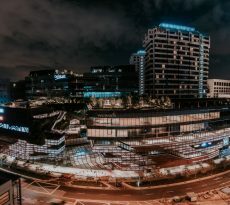 Sims Urban Oasis had a slow start but had finished strongly with nearly all of its 1,024 units sold as of October 2018, at an average selling price of SGD1,400 psf since its launch in February 2015. Park Place Residences at Paya Lebar MRT, one station away towards the east, had been selling at SGD2,000 psf. Parc Esta next to Eunos MRT station, two stops away towards the east has reportedly sold 329 units on its first day of sale on 17 November at an average price of SGD1,680 psf. The Sims Drive site is within decent walking distance (450 metres) to the nearest Aljunied MRT station and 12 minutes’ drive to the CBD. We estimate that the site could see a top bid of SGD500 million (SGD960 psf ppr). The land rate would be significantly higher than the SGD687.90 psf ppr for the Sims Urban Oasis site placed by a subsidiary of GuocoLand in April 2014 – reflecting the more palatable size of the new site (570 units) and the market recovery, especially for city-fringe projects, since 2014. We expect this site is unlikely to be triggered for sale soon, given that the Dairy Farm Road site (Residential with commercial at first storey) that was just awarded in September 2018 had received lackluster response post-cooling measures with five bids and a top bid of SGD830 psf ppr. 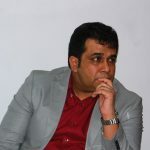 Developers are unlikely to pile in within the short time frame. The earlier site could potentially build over 430 units, whereas this site could potentially build 375 units.